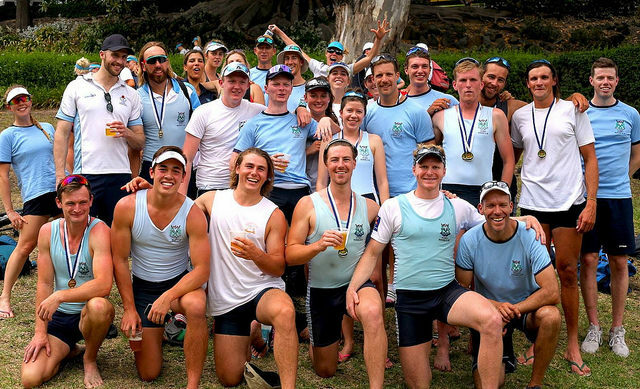 The 2017 Head of the Yarra, was shaping up to be a big one and boy did the SRC team deliver the goods. The Sydney Rowing Club Squad almost won as many races as the number of fingers on Carts left hand! But not quite. The day started off well with our Schoolgirl Composite 8+ zipping around the course in a very handy time of 33:59.47, only 16 seconds shy of the dominant Pymble Ladies College Eight that featured SRC’s India Thompson, and Cliffo’s Sister, so at least we kind of won the event. Next up was the defending Master’s D8+ champions who managed to successfully defend their 2016 title. However, two members of the Stephen Handleys “Legends” 8+ were disheartened. “Personally I was disheartened to lose to my son for the first time ever,” said Roger Brighton. The next crew of featured the two sons of the disheartened Master’s Jake Brighton and Patrick Graham. These boys held the fort in the middle of the C Grade 8+ who also managed to pull off a victory for the first time. When we interviewed them post-race they both seemed very pleased to have finally gotten one over their fathers. South African 7 seat Matthew Gertenbach was also thrilled with the victory. “Ag Man, that was a Jol, so good to give it a klap with these Lekker Laaities! After having already put away 2 events the SFRC Men’s Open 8+ didn’t want to miss out on any of the festivities and decided to rate as high as they could, to get down the course as fast as possible so they could celebrate with the rest of the team. 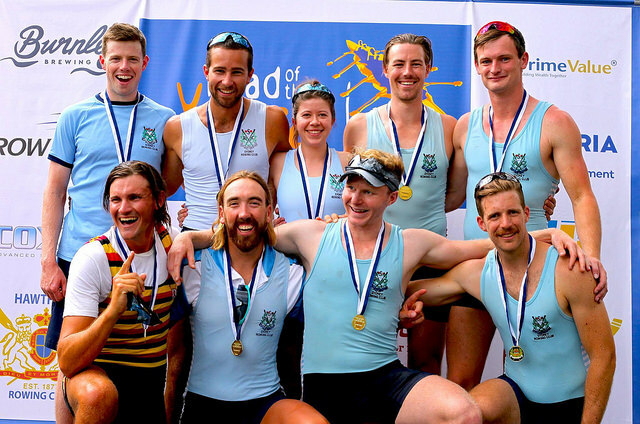 Because they were so excited about the other two eights winning it also meant they blew away the field and won their event too, not to mention being the fasted eight on the course and the first interstate crew in history to win the MO8+ at the HOTY. Maybe next year Hilly. This was a particularly gutsy effort since the NTC guys in this crew had rowed over 200km that week in single sculls already without a morning off. That’s impressive. 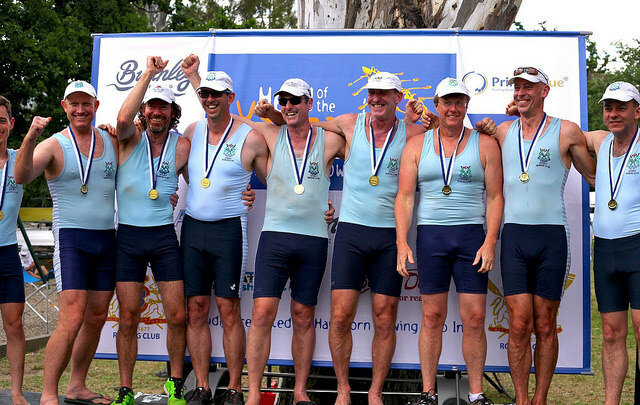 All in all, it was a great event and next year we will be defending three events and hopefully be able to add a few more to our ever-growing list of champions at the “Champion Club of Australia, and the best club in the world, Sydney Rowing Club”.